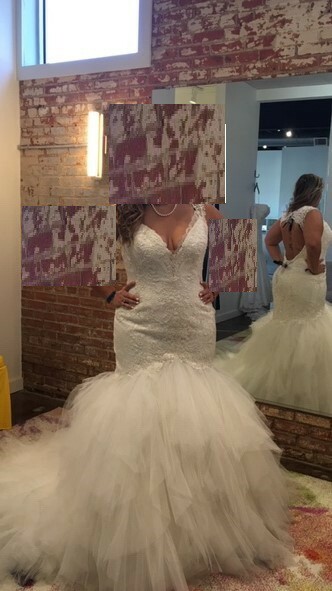 Should not have said yes to this dress. Bought it but then found one later that matched the look we were trying to get. Lace with pearl like beads/sequins to main body of dress. Tule for the mermaid skirt. Back zips and also has white fabric buttons.